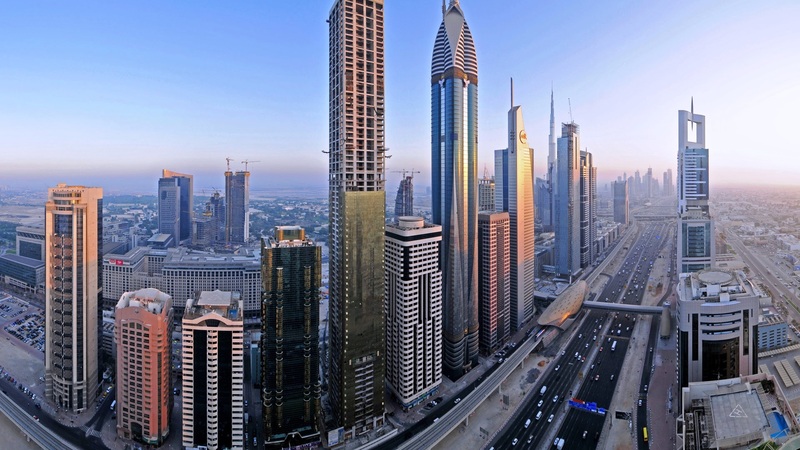 / Is 2016 The Year In Which Dubai Real Estate Price Fall Ends? Is 2016 The Year In Which Dubai Real Estate Price Fall Ends? Since the 1980s, China has seen enormous increases in its wealth because of its economic reforms, which have created numerous Chinese investors with a newfound interest in other countries as well as the means to capitalize on the investment opportunities therein. Although most of this investment is headed towards major countries such as the United States, it is interesting to note that Dubai has become a recipient of significant Chinese investment in recent times, so much so that Chinese investment in Dubai rose by an astonishing 300% in 2014 compared to 2013. In part, this is because China has been encouraging Chinese investors to invest in other countries as a way of preventing the over-saturation of Chinese markets. Combined with a recent slowdown in the Chinese economy, this encouragement has sent Chinese investors flocking to foreign markets, which has resulted in the beneficial diversification of their investment portfolios. However, it is also important to note the time and effort that Dubai has put into attracting investors from China as well as other foreign countries. For example, the Hong Kong Convention and Exhibition Centre was host to the Dubai Property Show between January 28 and 30 of 2016, which saw Dubai real estate companies such as FalconCity of Wonders, Nakheel, Taktical Realty Group, Driven Properties, SPF Realty Real Estate Broker and Trafalgar Properties providing Chinese investors with an intriguing introduction to the possibilities of the Dubai real estate market. Chinese investment in Dubai is particularly interesting because it is expected to continue to increase for the foreseeable future. After all, recent trends in the Dubai real estate market mean that Dubai real estate properties remain profitable investments for Chinese investors in spite of the devaluation of the Chinese Yuan, which is particularly noticeable because the same thing cannot be said of real estate properties in over-saturated real estate markets such as London, Sydney, and New York City. Given that the Dubai real estate market is expected to see a boom as World Expo 2020 approaches, it is no coincidence that more and more Chinese people are flocking to Dubai for its wide range of opportunities, thus stimulating even further Chinese investment. How Will a 300% Rise in Chinese Investment Benefit the Economy? The effect of this remarkable increase in Chinese investment is simple and predictable. In short, more Chinese investment means more demand in the Dubai real estate market, which means more real estate investors competing for the same number of real estate properties. This results in higher and higher prices, which in turn, means that real estate properties in Dubai are becoming more and more valuable. For people who own real estate properties in Dubai, this is excellent news because it means a real increase in their wealth as well as the chance to earn more on the units that they choose to rent out, which should come as particularly welcome news in light of recent trends on the Dubai real estate market. With that said, it is important to remember that Chinese investment in Dubai is not limited to the Dubai real estate market. Each time that a Chinese person opens a business in Dubai, that means more cash being spent on Dubai products and services. In turn, that means more cash being paid to Dubai residents, who will spend it on more Dubai products and services. The result is nothing less than a virtuous cycle, which can come as a welcome boost when international prospects are looking as gloomy as they are. Better still, when Chinese business get going, that means more jobs for Dubai residents from increased demand for Dubai products and services, which contributes to the same beneficial effect. On a more speculative note, it is likely that increasing Chinese interest will have something of a self-perpetuating effect. The more Chinese investors that hear about the opportunities to be found in the Dubai real estate market, the more that they will invest, which will spread the news to more Chinese investors. China is already Dubai’s single largest trading partner, but with this, it seems likely that Chinese interest and thus Chinese investment in Dubai will continue to rise for the foreseeable future. Of course, economic forces are unpredictable, meaning that what is true today might no longer be true or at least less true tomorrow. Those interested in keeping up-to-date about the latest developments in China’s relationship with the Dubai real estate market should continue keeping an eye out for the latest news to reach the newspapers.